Louisville is a city reignited. It has grown exponentially in the last decade thanks to the effort and vision of many in the community. The city is now consistently recognized as one of the hottest (and coolest) places in the country to visit and live in. Louisville is a vibrant city on the move, investing millions of dollars to upgrade and renovate its attractions, hotels and convention facilities to make them all state-of-the-art and one-of-a-kind. 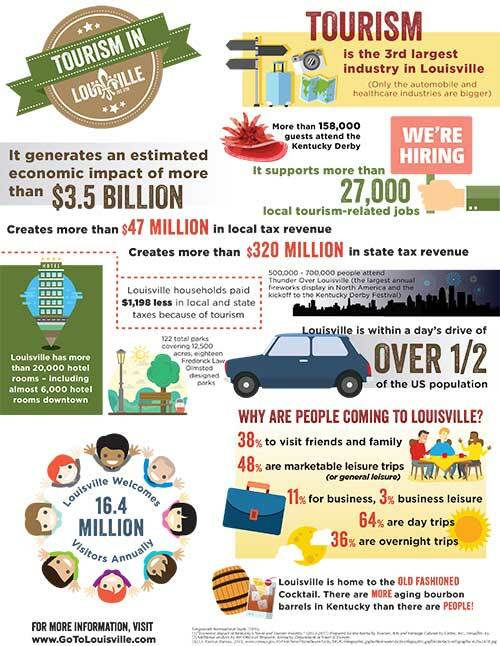 Louisville has not one, but two convention centers. 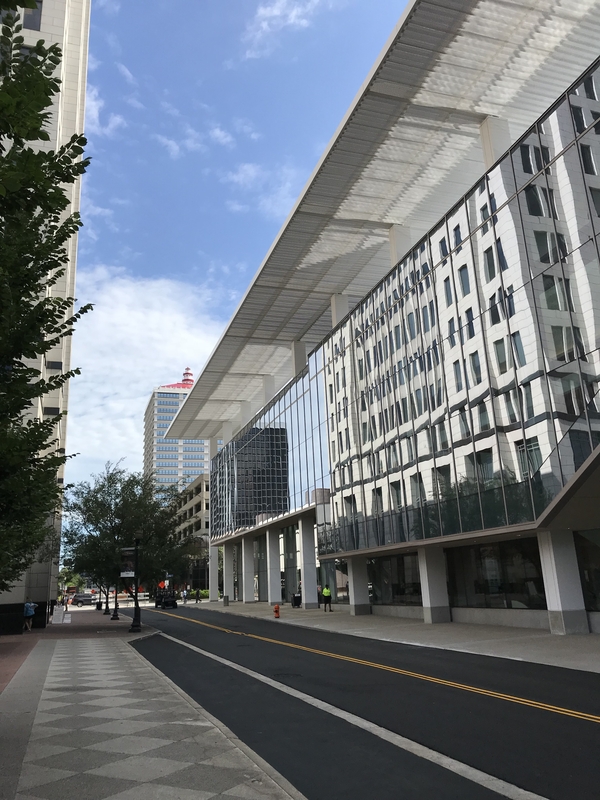 The Kentucky International Convention Center, located downtown, recently re-opened after a two-year $200+ million dollar renovation and expansion that reflects the vitality of Bourbon City. Nearly 6,000 downtown hotel rooms compliment the new convention space making downtown Louisville a prime meeting venue. Located just five miles from downtown, is the Kentucky Exposition Center. It sits adjacent to the Louisville International Airport and offers over a million square feet of exhibit space. It holds the distinction of being the sixth largest convention center in the U.S. and hosts four of the nation’s top 20 tradeshows. It is also home to the Kentucky State Fair, held annually in August. Louisville’s downtown arena, the 22,000-seat KFC! Yum Center, offers ultramodern space for concerts and large gatherings in an emerging arena district with a growing number of restaurants, bars and distilleries. 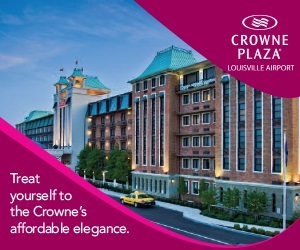 From major hotel flags to several independent names, Louisville boasts over 20,000 rooms in over 100 hotels. From the new 612-room Omni Resort and one of the largest hotels in the Southeast, the 1300-room Galt House Hotel, to two of the finest historic hotels in America, The Brown Hotel and the Seelbach Hilton, the city prides itself on having a room that will accommodate every taste and budget. Louisville is also home to the flagship hotel of the 21c Hotel brand. 21c Louisville was the city’s first boutique hotel and is dedicated to 21st-century contemporary art. Louisville is easy to get to. It is within a day’s drive of nearly half the U.S. population. Three major interstates converge in Louisville – I65, I64 and I71. Louisville International Airport is serviced by nearly every major airline with non-stop service to 23 destinations and convenient connections to cities worldwide. The airport ranks third in North America, and seventh in the world, in the total amount of cargo as home of the United Parcel Service (UPS) international air-sorting hub. With more than 120 attractions, many of them iconic, Louisville has something for every age and interest to see and do. Historic Churchill Downs and the Kentucky Derby Museum both pay homage to the thoroughbred horse – a hallmark of what makes Kentucky so special. The bat of most major league baseball teams is made at Louisville Slugger Museum & Factory. The Belle of Louisville is the oldest operating steamboat sill in existence today. And, Louisville’s native son, Muhammad Ali, is now remembered with a self-guided tour of “Ali’s Footsteps of Greatness.” Stops include his boyhood home, the vibrant Muhammad Ali Center and his final resting place in Cave Hill Cemetery, to name a few. Another hallmark of Kentucky – bourbon – has taken center stage as a “must do” when visiting the city. Kentucky produces 95% of the world’s supply of bourbon and much of that is coming from the Bourbon City. Ten distilleries are currently open for public tours and tastings in the city in downtown’s emerging Bourbon District and beyond. An American brandy distillery is also open to the public. The city’s Urban Bourbon Trail claims over 40 stops, all with over 50 bourbons available and tasty bourbon-inspired culinary delights. The Frazier History Museum plays host to the Spirit of Kentucky Exhibit and is an official welcome center for a bourbon adventure in the city and all around the Kentucky Bourbon Trail ®. If the arts are more to your liking, Louisville is one of only a handful of U.S. cities with a professional full-time orchestra, opera, ballet, children’s theatre, dinner theatre and Broadway Series. The Speed Art Museum and the Kentucky Museum of Art and Craft both offer free Sunday admissions. All of these, plus a world-class zoo, an amusement park, beer and wine trails, historic homes, confectionaries, and ghost tours await. Louisville’s growing food reputation is putting the city on the culinary map. And it’s not just the city’s eclectic, innovative and award-winning restaurant scene, but also locally made products that are setting the city apart (with and beyond the Bourbon!). The accolades continue to grow, from Saveur’s recognition as a Notable City in its Culinary Travel Awards to Southern Living magazine’s “Top 10 tastiest towns in the South,” to Zagat naming Louisville “one of the top eight ‘awesome foodie getaways in the world’” – the only US destination. The full story of Louisville’s culinary scene can be found at Culinary Louisville.